Worked great! Big long lashes!! While grocery shopping I saw this Maybelline Volume Express The Colossal Waterproof mascara on the shelf. When I read the description it sounded too good to be true, which it was. The package promises you voluminous "cat-like" lashes so I assumed that my this lashes would instantly look longer and fuller. I also liked the picture of the curved brush on the package. After using this mascara a few times, I can honestly say the only thing I am remotely like about this mascara is the brush. First of all, when you pull the wand from the container, it doesn't look like anything comes out; it feels like I bought an empty container of mascara. Then, when I apply the mascara, it takes at least a couple coats to even look like I put anything on. There is nothing thick, full or cat-like about this mascara. In fact, it's thinner and skimpier than most mascaras I have tried. I was very disappointed. Performance Does not perform as advertised. Ease of Application It doesn't seem like anything is coming out of the container. 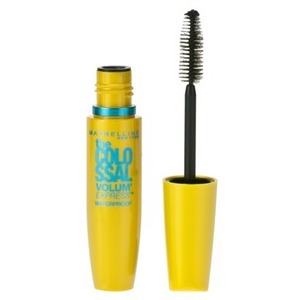 I love the Maybelline Volum' Express The Colossal Mascara, however the waterproof version is terrible! The mascara is extremely thick and the texture is like clay. It goes on clumpy and did not separate my lashes. My eyes looked awful. Even worse, when I tried to take it off, I lost a bunch of eyelashes and I had to rub my eyes for half an hour! I even used makeup remover! Do not buy this product, it only causes a hassle. This is my favorite drugstore mascara ever. I first received this as a gift. Now I will never buy another mascara. 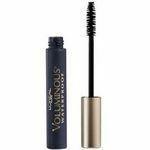 It gives you volume and length, and also makes you look as if you are wearing false lashes. It's an all in one mascara that won't disappoint. I have used many Maybelline products before, and I have liked many of the mascaras they have in their product line. I didn't like this one as much. My lashes did look longer and very, very black, but this mascara gave me spidery thin, clumpy lashes instead of making them look nice. It's very afforable, but not "cheap". It has a nice price tag on it and I don't feel guilty about buying this product, even when I'm on a budget. I just wish the product worked better and looked nicer so I don't feel like I'm wasting my money on obviously fake, ugly eyelashes. This is the only Maybelline mascara I have tried up until this point that didn't make my eyelashes look gorgeous and plump. It's a good product given the cost, but I would have preferred to buy quality mascara and payed a little bit more. If this was a Covergirl mascara vs. Maybelline mascara, Covergirl mascara products would have won, hands down, at least in my book. I would only recommend this product if you were on a tight budget and had back-up false eyelashes. This waterproof mascara totally works!! I bought this to try it out and it really does work. It's not messy. Easy to use. It leaves your lashes looking longer and fuller. 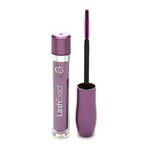 I use it on top of the two step waterproof mascara and my lashes look fabulous. People even ask me if I have fake eyelashes. Not waterproof, not even water-resistant. I noticed Colossal Express Waterproof Mascara one day in a drug-store. I've seen the commercials and thought the mascara tube looked "fun." I was looking for a mascara that was waterproof. The best part of this mascara is the packaging. I also like the full wand that comes with it. I put the mascara on and it immediately clumped on my lower lashes. A couple of hours later, I could feel something in my eye. It was tiny bits of the mascara flaking off and into my eye. It caused some eye irriation, redness and I ended up rubbing most of the mascara off trying to get it out of my eye. I then washed my face and the rest of the mascara came off-so much for being waterproof! I doubt I will buy this brand of mascara again. Maybelline has always been a brand I've trusted but the last few mascaras I have tried, failed to live up to expectations. 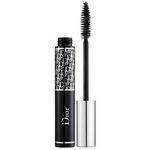 *For people who are going to buy this mascara anyway, I recommend using a small mascara wand to get the lower lashes covered without clumping. E.C.